Dubrovnik Private Tour from Split is a private tour from Split that discovers to the “Pearl of Adriatic” – Dubrovnik! Join us on a beautiful journey along the Adriatic coast. Also, this coast is know for its natural beauties and great scenery – relax and enjoy the ride. After the 2,5 hrs drive, first stop on this tour will be in a beautiful town of Ston. This area is inhabited since the days of antiquity, since the days of the old Illyrians. In the days of the Romans, the name of town was Turris Stagni. Ston town is located on a narrow strip that connects Peljesac peninsula to mainland. Ston is know for one of the longest walls in the world (approximately 5,5 km). Furthermore, these walls were built after this town became a part of the Republic of Dubrovnik in 1333. Enjoy and admire the beauty of this unique place! From Ston there is another hour drive to Dubrovnik. Dubrovnik is today champion of Croatian tourism, and this is no surprise at all! 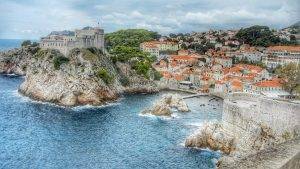 After the arrival to Dubrovnik you will enjoy 1,5 hrs walking tour of this unique town. During this tour you will visit Franciscan monastery (one of the oldest pharmacies in the world). Your guide will also show you main highlights of Dubrovnik: Sponza Palace, Rector’s Palace, Onofrio’s fountain, Cathedral and the church of St. Blaise. It is time to pamper yourself, join us on this tour! This is a private tour that was customized to suit your needs. Therefore, admissions for the Franciscan monastery in Dubrovnik are included. Also, please wear comfortable walking shoes. 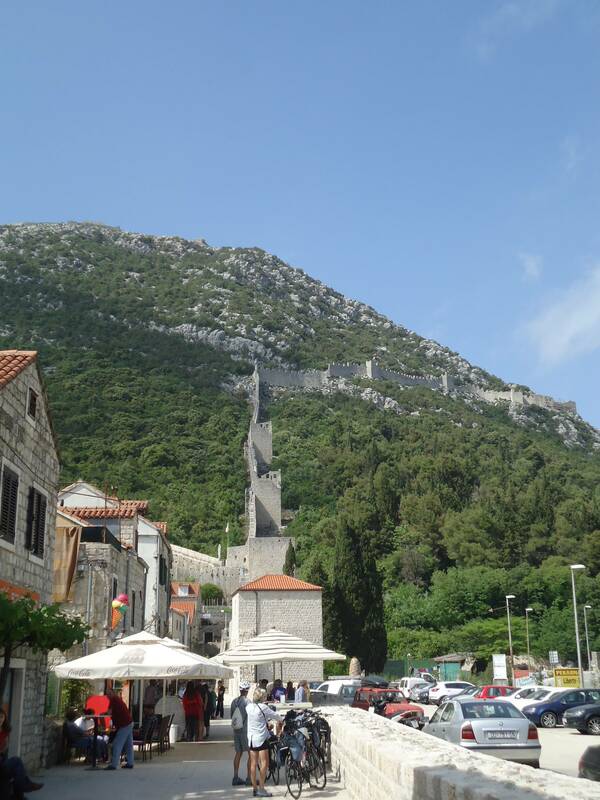 On this tour you will walk along limestone paved streets and uneven surfaces. This tour includes pickup (by private vehicle) at your hotel in Split area. Light lunch boxes are provided for tour participants. Please bring your passports on this tour because of the border check in Neum (Bosnia). Maximum number of participants on this tour 7, since we offer private tour experience. Please have your shoulders and ankles covered when entering the Franciscan monastery in Dubrovnik. In a case of a bigger group please contact us by the e-mail. Also, this tour might operate in reverse due to operational reasons.